Dean Koontz has surpassed his longtime reputation as “America’s most popular suspense novelist”(Rolling Stone) to become one of the most celebrated and successful writers of our time. Reviewers hail his boundless originality, his art, his unparalleled ability to create highly textured, riveting drama, at once viscerally familiar and utterly unique. Author of one #1 New York Times bestseller after another, Koontz is at the pinnacle of his powers, spinning mysteries and miracles, enthralling tales that speak directly to today’s listeners, balm for the heart and fire for the mind. In this stunning new novel, he delivers a tour de force of dark suspense and brilliant revelation that has all the Koontz trademarks: adventure, chills, riddles, humor, heartbreak, an unforgettable cast of characters, and a climax that will leave you clamoring for more. 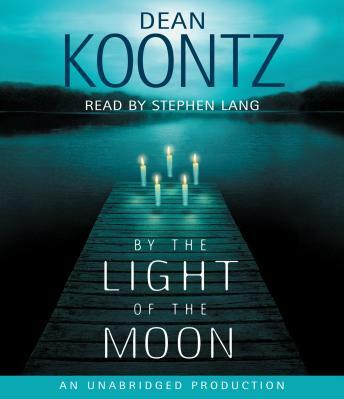 By the Light of the Moon is an audio of heart-stopping suspense and transcendent beauty, of how evil can destroy us and love can redeem us--a masterwork of the imagination in which the surprises come page after page and the spell of sublime storytelling triumphs throughout.